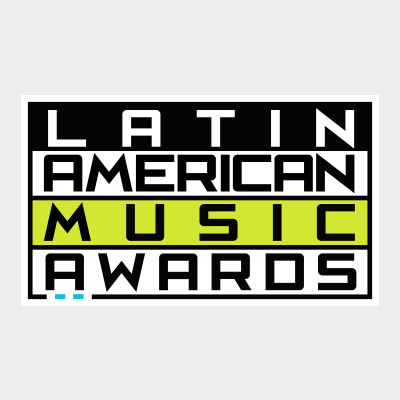 The renowned and outstanding Latin American Music Awards is back for its second year in a row and it is ready to bring out a lot of musical excitement to everyone! The Latin AMAs has just announced who the nominees are for this year’s remarkable award show and we all will be having a tough decision on who we want to see win at the prestigious event as all the nominees are so talented and well-deserving of a win. The Latin American Music Awards will be making its way to The Dolby Theater in Hollywood, California on October 6, 2016 and it will definitely be an unforgettable night filled with a lot of legendary musical moments. In addition, the Latin American Music Awards have also announced who will be performing at this year’s award show. The incredible line-up of extraordinary musicians performing this year includes the internationally-acclaimed band that hails from Spain, none other than DVICIO (who will also be presenting at the event), CNCO, Jesse & Joy, Prince Royce, Victor Manuelle, Gente de Zona, and Gerardo Ortiz. The event will be hosted by Lucero who will also be taking on the stage at the award show and giving a terrific performance. The Latin American Music Awards will also honor and make a tribute to the late iconic musician Juan Gabriel. Check out the full list of nominees from this year’s Latin American Music Awards via EOnline and be sure to vote for your favorites to see them win at the Latin AMAs! Fans in the United States and Puerto Rico are able to vote on www.LatinAMAs.com/vota and fans worldwide can vote via Twitter by including the first and last name of the nominee, the category, and the hashtag #LatinAMAs. Voting is open from now until September 27th. Comment below and tell me or tweet me at @alexisjoyvipacc, who will YOU be voting for to win at the Latin American Music Awards? Don’t forget to tune in to the Latin AMAs on October 6th at 8:00 PM! Julión Álvarez, Mis Ídolos, Hoy Mis Amigos!!! Previous Article: Worldwide Sensation DVICIO Set To Perform And Present At The 2016 Latin American Music Awards! Next Article: Celebrate Labor Day By Tuning In To Two All-New Comedies From MTV!